DISC Personality testing in the workplace..
We present you with the information and training you need… and then support you to use it! People’s behaviours tell us their story. If we watch and listen carefully we can learn to ‘read’ the story as it is being told. This skill allows us to see and know the intricate detail that individually defines each of us. It’s through discovery of another’s story and listening to why, what, and how they see their world that we begin to develop a true understanding of who they are and why they behave the way they do. It also conveys how they will likely interact with them. As you think about your work colleagues, family or friends you may begin to notice that some are more comfortable dealing with facts, they want to know the nitty gritty, while others are more influenced by feelings. Some are assertive and direct, while others tend to be more indirect and reserved, more active or passive, more extroverted or introverted. On another level, people make decisions at a difference pace. For some, decisions are made in a split second while others prefer to work and make decisions more slowly. Some prefer to talk, others prefer to listen. Such telltale behaviours can be clearly identified and are readily observable. It means if we watch and listen we can better understand others and easily work out how to communicate in a way that our story or message will be heard, interpreted and understood.. The secret… use the same behavioural and communications preferences as those we are interacting with. At The Communication Queen, we understand how PEOPLE are your greatest asset and how they can make or break YOUR business. We understand that each and every business has different needs and different people within them and therefore tailor our programs specifically for YOU. We can use it to look at the emotions being communicated by the participant on a regular basis just by completing a simple questionnaire. Extended DISC can show us how to gauge stress levels, uncertainty of people in their role, insecurity, frustration, pressure to change to name a few, and we can use that information to make the changes that will allow us to show you how to get the best out of your people..
Extended DISC assumes that an individual has reaction modes for all behavior styles, of which they prefer some more than others. Extended DISC allows an individual to be more flexible and dynamic (adapting) in his or her behavior by recognizing 160 different patterns or ‘styles.’ Other DISC based programs assume an individual is either a feeling or thinking type, recognizing only four styles. Even Myers-Briggs, one of the best known assessment systems around, recognizes only 16 different styles. 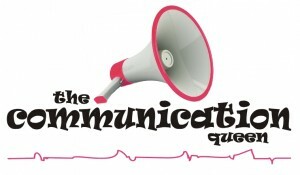 The Extended DISC that we implement at The Communication Queen far exceeds other trainings out there. Extended DISC is extremely difficult to cheat. DISC programs can (and often are) answered by the participant in the way they believe their potential employer (or present employer) would like them to answer. This is because in the other DISC programs, the emphasis is on the conscious adjusted behavioral style. We know when someone has tried to beat the system. The report will be either invalid, show mirror profiles, show a tight Profile or show an over-shift in Profiles. There is no way of knowing when a simple DISC report is inaccurate. Various options are available to obtain reports: Questionnaires can be completed online anywhere in the world and the reports automatically received in minutes. Reports can also be manually retrieved directly from the server 24/7 and is available in 50 different languages. A good understanding of the main behavioral styles is essential in using Extended DISC® assessments. Once the user has gained this understanding, it is very easy to apply this knowledge to numerous applications. Extended DISC® Diamond is based on the 4 Quadrant Model and the four behavioral traits. Each of the different combination of the four behavioral traits has its position on the Diamond.